If you're a pet owner living in or around Clinton Hill, Bedford-Stuyvesant, Williamsburg, Fort Greene, Prospect-Lefferts Gardens, Cobble Hill, Brooklyn Heights, Vinegar Hill, Prospect Heights, Bushwick, or Park Slope, NY, then you'll want to keep our animal clinic's number handy in case your pet is ever in need of quality, affordable, and effective veterinary care. Our veterinarian in Brooklyn offers a wide range of services, including pet dermatology to keep treat and prevent extreme skin irritation caused by allergies, fleas and ticks, auto-immune diseases, and more. Allergies: if your pet comes in contact with an environmental stimulus to which it is allergic--such as dust, mold, or pollen--then it may develop a skin reaction called atopic dermatitis. This can often present like other health conditions, including ringworm or a bacterial infection. Fleas and Ticks: these parasites can irritate your pet's skin in their own right, but they may also introduce other disorders such as Lyme disease or tapeworm. Hormonal and Auto-Immune Disorders: certain conditions, such as canine lupus or Cushing's disease (an endocrine disorder) may cause skin issues in addition to a variety of other problems. When you first visit Clinton Hill Animal Clinic, you should expect to be warmly welcomed by our friendly and attentive staff. 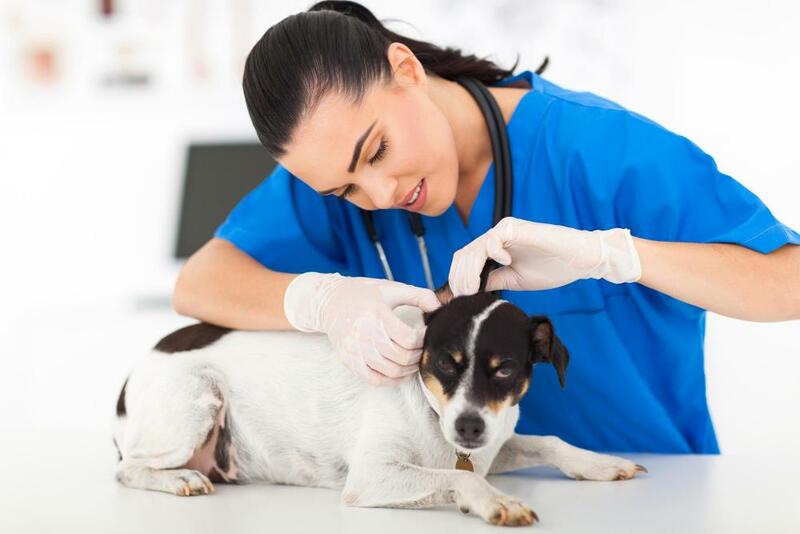 Our veterinarian in Brooklyn--either Dr. Pamella Dendtler or Dr. Robert Gooden--will first perform a thorough physical examination to screen for dandruff, scabs, rashes, and other signs or symptoms of a skin irritation. Next, we'll perform a variety of tests and measures to identify the underlying cause of your pet's dermatology issue. At this point, we'll discuss with you the best course of treatment to relieve your pet's symptoms and prevent any further issues from returning by addressing the root of your pet's skin condition. Treatment may include a variety of over-the-counter or prescription topical ointments, shampoos, and meds for pets that can relieve anything from the most mild to extreme skin irritation. If your animal companion has been dealing with mild to extreme skin irritation of any kind, then our pet dermatology team may be just who you've been looking for! To schedule an appointment with a Clinton Hill veterinarian, or to learn more about or Brooklyn veterinary services, call us today at 718-623-3999. Also, be sure to ask about our free or discounted services for first-time clients. We proudly serve the Brooklyn-area communities of Clinton Hill, Bedford-Stuyvesant, Williamsburg, Fort Greene, Prospect-Lefferts Gardens, Cobble Hill, Brooklyn Heights, Vinegar Hill, Prospect Heights, Bushwick, and Park Slope, NY.